Can you monetize these forms? That is, can I make someone pay to access this? 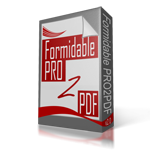 Or is there a way that at the point of saving the pdf/printing they have to pay? Is there any intergration with woocommerce? Yes, you can monetize from, and we can assist with integrating to WooCommerce, however we are not able to provide written instructions as each situation is different. You can request a customization quote request to have us create one for and provide you with instructions for adding more on your own by filling out this form.